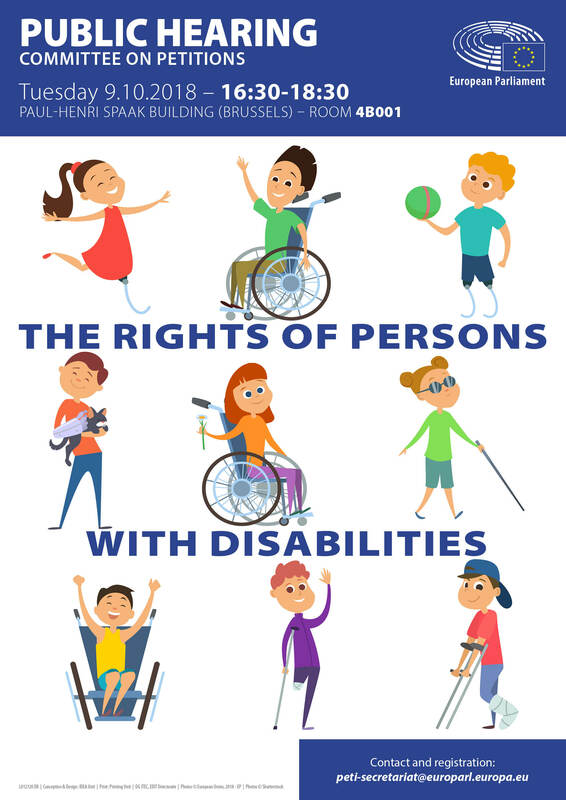 The Committee on Petitions each year receives a considerable number of petitions referring to difficulties encountered by people with disabilities in the EU in various fields, such as access to employment, education systems or public transport facilities. Following a prior public hearing on the topic held by the Committee on 19 October 2015, the upcoming hearing focused on two specific aspects: i) the legal capacity of persons with disabilities and their right to vote, in the run-up to the European elections in May 2019, and ii) women and disabilities. The hearing presented the possibility to exchange views with experts, including representatives of the Fundamental Rights Agency and the European Commission, on the role the Committee on Petitions can play in protecting and promoting the rights of persons with disabilities, in the context of the implementation of the UN Convention on the Rights of Persons with Disabilities.